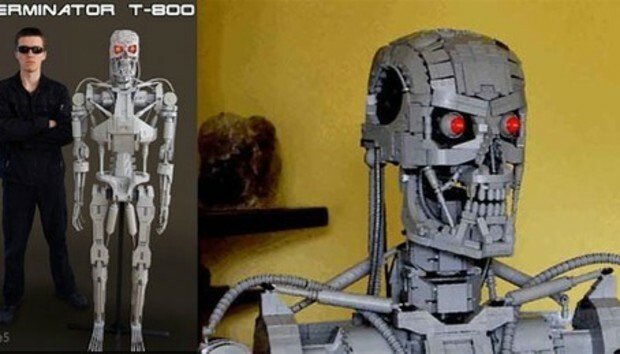 If you needed a project to use up all those gray Lego bricks, Martin Latta found one: a life-sized Lego replica of the Terminator T-800. Martin's Lego project uses 15,000 bricks, weighs about 33 pounds, and stands at an impressive 6 feet, 1 inch. By the looks of it, the eyes glow red, too! Martin built many parts, such as the head, in three different layers to get the Terminator to look just right. If you live in--or plan to visit--the Czech Republic, you can see the replica at an exhibit in Lipno Point.